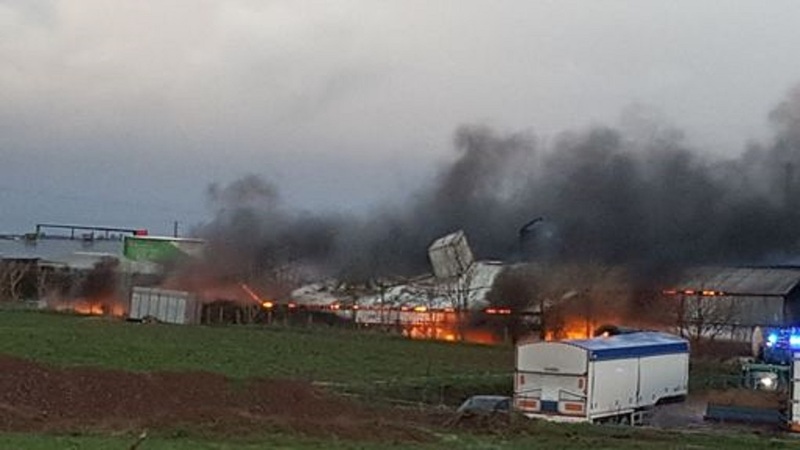 Six fire engines were sent to the major blaze at the large turkey farm in west Wales last night. The organic poultry farm is near to Walwyn’s Castle, Haverfordwest. The cause of the fire is not yet known, although there have been reports of an explosion at the site. 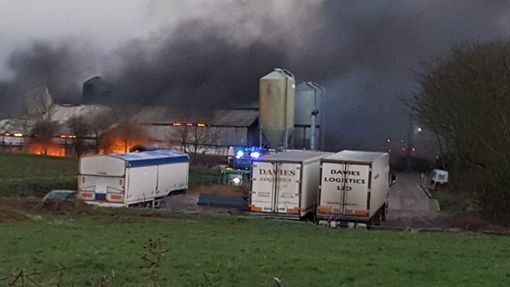 A spokesperson for Mid and West Wales Fire and Rescue said the fire involves chemicals, oil, and acetylene. At one point there was 38 firefighters at the scene of the blaze, as well as three officers. It is believed the blaze was in a barn housing vehicles and no animals have been hurt. Valerie Gill told the Western Telegraph: "It was a huge thud. An awful sound. There is a valley with a lake between us but it sounded like such a big bang. "There was thick, thick black smoke almost immediately." Western Telegraph reporter Joanna Sayers said: "It looks like an inferno. It is a big fire in a what looks to be a long shed. If you didn’t know it was a fire you would think it was Christmas lights lighting it up." A man who was working nearby said: “I saw a massive explosion. I was about half a mile away and I could see it.